Your BP Medication May Be too Weak! Home / Your BP Medication May Be too Weak! 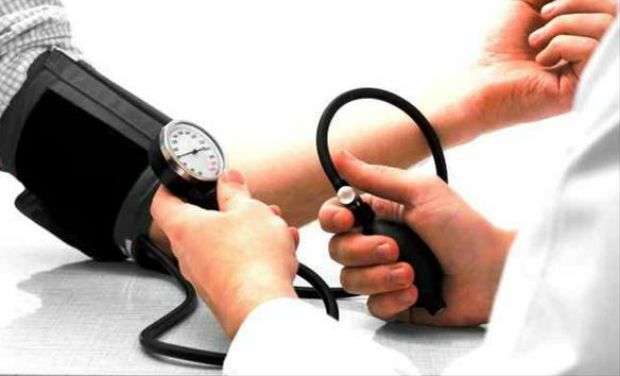 High Blood Pressure is a Killer! Latest research shows that a BP of lower than 120 may be the best thing for us. Where once doctors worked to get the systolic pressure under 140, specialists are now saying they should work to get it under 120! Lower is better. If yours is higher, then your BP medication may be too weak. Watch this short video for some eye-opening revelations about your blood pressure. High blood pressure is often called the “silent killer” because there are no real symptoms for most people. Some people, however, do experience symptoms they might chalk up to other issues, such as headache, dizziness or irritability. It’s best not to take chances as high blood pressure can not only cause strokes, heart attacks and aneurysms, it can cause kidney failure and various other serious health ailments. So, if there’s one small favor you can do for yourself, check your blood pressure regularly! And, if it is higher than 120/80, ask your doctor about a prescription to keep it lowered. Another option you should consider in maintaining a good, healthy BP is to watch what you eat! Don’t eat foods high in salt or sodium! Cut out the junk food. Eat more natural fruits and vegetables. It really can save your life! Magnesium helps. Head over to the health food store and get a good magnesium supplement. Our soils are so depleted of magnesium that we simply can’t get enough of the mineral in our diets. Exercise on a regular basis. Not only does it help you look good, it helps to keep your blood pressure under control. There are plenty of low impact exercises that almost anyone can do; there’s really no excuses! Lowering your stress will also help to keep BP under that magic 120/80 level. Stress isn’t known as a killer without reason. Deep breathing, yoga exercises, swimming, walking and dancing are great ways to reduce stress in your life. Of course, avoiding stressful situations as much as possible is also beneficial toward that end! What to do? Talk to you doctor! Learn all you can about how to lower and keep it below the magical number of 120/80. Laugh a lot. Relax. Eat right. Enjoy life.